Founded in 2006, Wix.com is a world-class website building platform that uses a cloud-based website builder that is used by more than 100 million users throughout 190 countries for their web presence. The brainchild of 3 founders, Giora Kaplan, Nadav Abrahami and Avishai Abrahami, this website offers a wide-range of features and tools so that the users can create their website without coding or design skill-sets. Today, if you want to establish or expand your business, you need to have an online presence. The best way to do this is to open up your own website. Not sure where to start? I would recommend using the website builder, Wix. The first reason why Wix is a good option is that you do not need coding or designing skill! Wix offers a unique website building platform where you can choose from beautiful ready-made templates, and a range of add-ons to customize the look of your website. The second reason why you should use Wix is the fact that it not only saves your time, but also there is very little need for maintaining the website. You can spend more time on your core business and increase your productivity. Additionally, you can use Wix to create a highly professional website, without spending a lot of money. 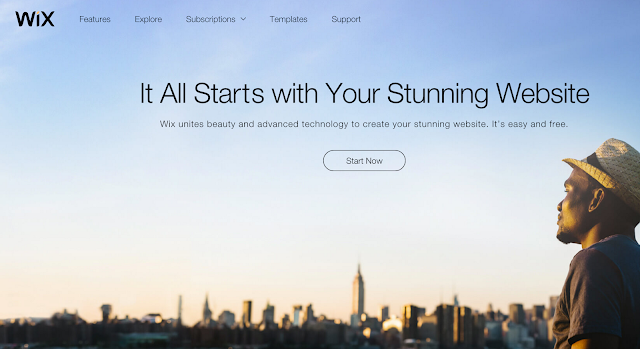 Wix has created a marketplace for users to be able to buy custom features and themes. This marketplace is huge and affordable. You can easily shop for a professional looking theme for your website. This also makes it very easy to change the look and feel of your site anytime in future. The last and most important reason for me is mobile friendliness. Wix is way ahead of being a mobile-friendly publishing platform. Any website published on Wix can be easily viewed on a mobile device and no extra effort is needed from the publisher. This saved me a lot of effort and brought in a ton of mobile users to my website. Wix video is one of the most powerful offerings from Wix. I like the feature to be able to stream youtube and other popular websites like Vimeo and Facebook. It makes the website content rich in far less effort. Wix also empowers you to be able to create your own video channel or a course. You can upload the videos directly on your site or embed them from any external website. Wix provides key tools to be able to make money from your videos. You can sell or rent or get subscriptions from users on your website without paying any commission. Lastly, the features are also seamlessly integrated with their mobile counterpart. The user can easily showcase videos in stunning mobile and desktop layouts. Also, the users can sync a YouTube feed on the website as well as stream them on their website. Further, the user can showcase 360-degree videos at one time from Vimeo, Facebook, and YouTube for the visitors. Now, you can manage your online business, blog, and website with this new mobile app. This app can help anyone with a business to maintain their clientele and their stock! Very helpful if you are someone who is constantly on the go and without access to a computer. Wix SEO Wiz will help users to get in touch with their SEO without needing to understand everything for themselves! Making small improvements to sites on page SEO can help to increase the chances that the site will rank higher. Making sure that your business can be found on Google is a big priority! What could be better than getting in touch with your customers directly! You can address a problem, inquiry or complement in real time by using Chat with your customers. This will help you to take your customer service to the next level! Wix is a unique drag & drop website building platform with top grade hosting, HTML5 capabilities, and 500+ designer-made templates. You can easily find a template that will fit any need that you might have. Whether that means starting a website for your business, or opening up your own blog. You will easily find something that will suit your taste! You can also choose from a huge variety of innovative apps and thousands of features for the user who wants to take their site to the next level, and add a customized edge to their site.